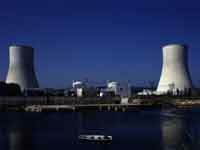 With the help of its members, NuclearMarket.com maintains a large database of Nuclear-related Conferences. Visitors can view the database by clicking the links below or the links in the navigation zone on the left. Conference Organisers can advertise their conferences FREE of charge. To register simply fill in the online form. We will then issue a username/password and you will be able to post as many conferences as you wish. Don't forget, this service is FREE. Organising a conference? Why not advertise the event with us? To find out more, click here.